I homeschool my three young children and we always look forward to reading Christmas books together as a family throughout the season. Therefore, I was very excited to read with them, The First Christmas Night written by author and composer, Keith Christopher. 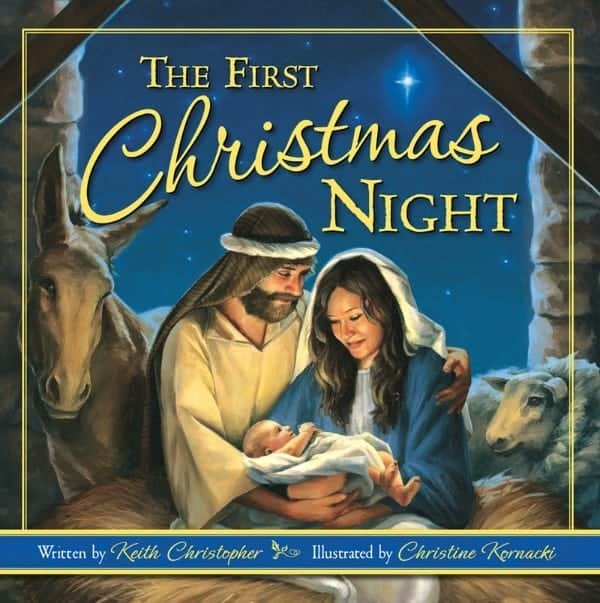 This beautiful hardcover children’s picture book is a wonderful retelling of the birth of Jesus Christ. Written as a poem with a delightful twist on the classic, Twas the Night Before Christmas this lovely lyrical story comes to life as readers are transported to Bethlehem on that most joyous night. The story begins with the arrival of Mary and Joseph to a manager in Bethlehem where they are surrounded by animals who are watching as the infant Jesus is born. The story continues as the angels’ appear to the shepherds to tell them of the good news and the infant is visited by the Three Wise Men. My children were captivated by this retelling which actually made my daughter, Hannah tear up with happiness. The breath-taking illustrations by Christine Kornacki are gorgeous and I especially love the depictions of the baby Christ and the animals. As a mom, I can appreciate the beauty within the illustrator’s artistically beautiful depiction of Mary and Joseph as they gaze at their young infant son with much love as seen in their eyes and smiles. This children’s book is a wonderful read-aloud story for the Christmas season that is sure to be enjoyed by the entire family and adults won’t even mind reading it again and again ( I can attest from personal experience). My children loved the rhyming text as they had fun guessing the correct rhyming word at the end of a stanza. This book is recommended for children ages 4-8 and my two young emerging readers also had fun reading this independently and narrating the story aloud. I can also use this book as a teaching tool in our homeschool because there is “The Biblical Story of the First Christmas” page at the end which gives additional information for discussion from a biblical perspective. Published by Ideals Books, The First Christmas Night is 32 pages and is available for purchase with a list price of $16.99. 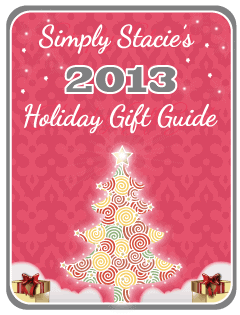 It would make an excellent gift idea for a special child this Christmas! You are invited to visit Ideals Books to learn more about this title and browse the entire selections of children’s book titles. i think they would love the brothers are forever book! I like God Made You Special! I would like The Story of Christmas Activity Book for my grandkids. My niece would like God Made You Special!.